The Toronto-born electro-pop artist known as Diamond Rings is the latest artist to join Bat For Lashes, Empire of the Sun, Kylie Minogue, Phoenix and more over on Astralwerks Records, the New York-based label "devoted to developing genre-defying new artists with a unique musical vision." On June 21st, Astralwerks is set to re-release Diamond Rings' debut album, Special Affections in the States. “Diamond Rings is truly original which isn’t an easy feat. John has an incredible and unique vision for Diamond Rings but first and foremost he is an outstanding songwriter. We are very excited to be working with Diamond Rings to help nurture his career by offering him our vast network of expertise and resources." 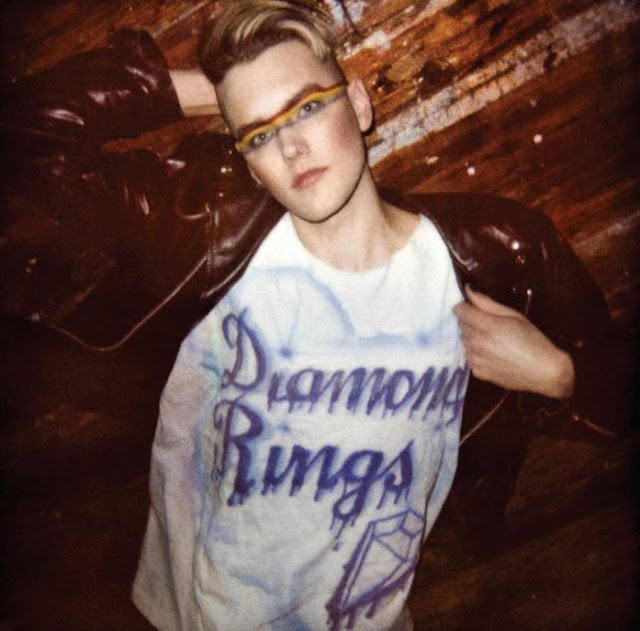 Diamond Rings first came to be in the summer of 2009 when Toronto-based artist/musician John O released a homemade video for debut single, "All Yr Songs." The video earned Diamond Rings international acclaim, both for the song itself as well as for his androgynous/nerd/hipster/chic style sensibilities featured prominently throughout the video. The single, which was released as a limited edition 7", went on to receive "Best New Music" honors at Pitchfork and proceeded to sell out in just weeks. Follow up single, "Wait & See" was also released as a limited edition 7" and featured a buzz-generating video which got good exposure at SXSW and led to opening act spots with a diverse array of artists including La Roux, and Owen Pallet. Diamond Rings released two additional singles before his album dropped, the most recent being "Something Else" which featured a dancey cover of Milla Jovovich's "Gentlemen Who Fell" as a B-Side. Co-produced by Diamond Rings and James Bunton, Secret City Records released Special Affections on October 25th. Exclaim! went on to call the album the #11 Pop & Rock Album of 2010. "Everything I've done has led up to this moment," she says. "I'm looking forward to people finally getting to know the real me!" The album's second single, "Desperate Girls & Stupid Boys" was released in December, debuting at #50 on the Billboard Hot Dance Club Play chart, marking her first appearence on the Billboard charts. The single was remixed for the clubs by Jason Nevins, Digital Dog, Lucky Date and DJ's From Mars and managed to peak at #30 on the dance charts. Caldwell's first single, "Mess Of You" didn't chart. Check out this release day message that Kimberly recorded especially for her fans. Also, watch the "Desperate Girls & Stupid Boys" music video HERE and download the remixes on iTunes HERE. Her album is out now. Go get it HERE or HERE or in a store near you. 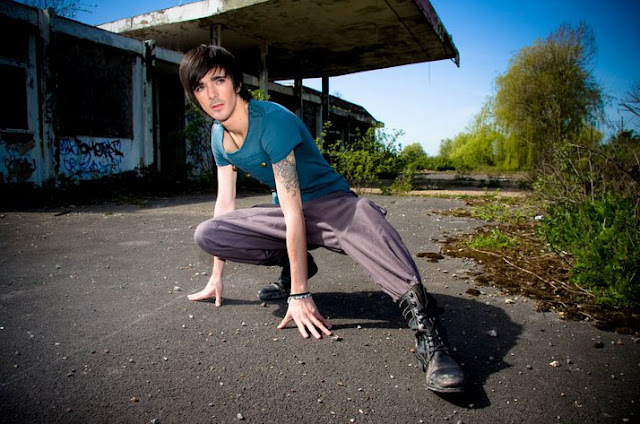 I first heard about UK "electropopurban" singer/songwriter Bradley Say back in August of 2009, when he was featured on Arjan Writes. Well, he's back with a brand new song and a brand new music video. Say started the recording process for his debut album back in 2006, working in Adelaide Studios. There he wrote and produced 9 tracks and two remixes featuring Canadian rapper Bummy Chuckles. After working on the album for a year, Bradley thought that a change in scenery might do him (and his career) some good. Hooking up with Laurence Hobbs of Blueroom Studios, Say scrapped a majority of the material recorded back in 2006, instead putting his trust in Hobbs (Pixie Lott, Amanda Wilson). The song "Wasted" was the first track recorded in the new digs. Released to U.S. iTunes back in 2008, the brand new video features a playful Say prancing about, all the while being pursued by a female stalker. As is the case with all of Say's previous releases, the song is a lot of fun. Download the song on iTunes HERE and go pick up a copy of his debut album, Seeing Red, available on his blog. Stay tuned for a new version of the song "Say What?" as well as a new official website. London fans can check Bradley Say do his thing live on June 17th when he performs a special showcase. See HERE for more event details for more details. KIDCITY (AKA Kelly Ann and Caleb) is definitely worth your time. These two 21 year old college friends from the outskirts of Toronto call their style of music - "clip-hop," drawing heavily on both hip-hop and electronica music. The end result is a rich, dark, melodic sound that leaves the listener entranced and wanting more. 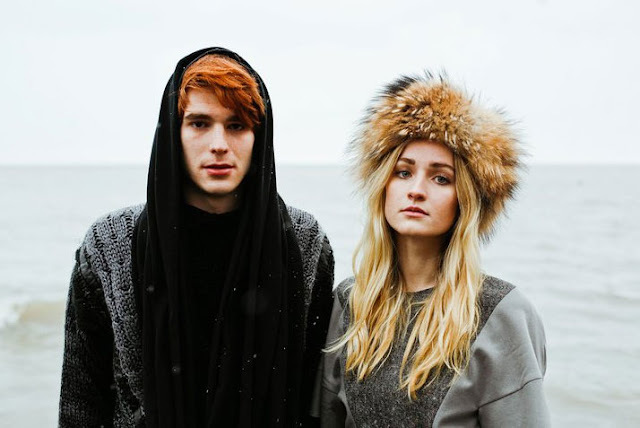 The duo is set to release their self-titled EP on May 31st. Give the very trippy "Bloody Face" a listen below and if you like what you hear, download it! Definitely keep an ear out for these guys in the future. The last time I posted about Welsh-born pop artist Jenefer Siân was back in December when she released her video for new single "Call You Out." Siân called out to her fans to help raise funds through Kickstarter.com so that she could shoot the fabulous video, directed by Alan Wain (Michael Jackson, Sting, Carly Simon). Well, that single is finally available to download and it was most definitely worth the wait. Written by Siân along with songwriter Marga Lane and produced by Matt Sirrine, "Call You Out" is a slick, sassy pop track showcasing Jenefer's impressive vocals. In lieu of releasing a full length album, Siân will be releasing a single every 3 weeks throughout the spring and summer leading up to her first live performances in the Los Angeles area. Fans can expect the TBA next single to arrive digitally on on May 10th. "Call You Out" is available on iTunes and Amazon, but those of you who want to snag it early can go get it for free on Jenefer's official website - http://JeneferSian.com OR you can download it from the widget below. Be warned - there are only 25 free downloads available, so act fast! Jenefer's previous two singles, "Take A Number" and "Operate" are available now on iTunes via Island Def Jam Digital Distribution.